The Bellman Carbon Monoxide Detector and Portable Flash Receiver pack is ideal for alerting those who are hard of hearing if a rise in carbon monoxide levels occurs. 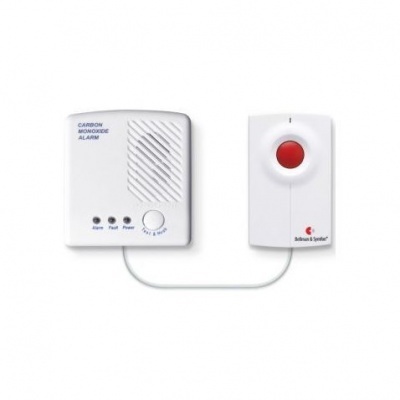 The Bellman Visit Carbon Monoxide Detector Pack and Portable Flash Receiver have been combined to offer a reliable method of alerting individuals to a sudden change in carbon monoxide levels. 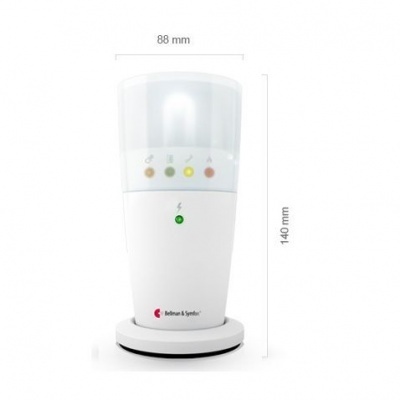 It is ideal for anybody with hearing impairments, and will help to increase safety in the home. Carbon monoxide can cause all kinds of illnesses and complaints - including nausea, dizziness, headaches and even convulsions - and can ultimately result in the loss of a life, thus making it paramount a working system is in place to warn you. If a rise in the gas levels are detected, the Carbon Monoxide Detector Pack sends an alarm to the Portable Flash Receiver, which in turn will alert instantly to the danger. The Portable Flash Receiver uses radio signals to receive information from the transmitter. It delivers the information by emitting coloured lights for clear identification of an alert. The settings can be customised to distinguish between individual triggers for quick identification of which transmitter has been activated. The LED lights are multicoloured and easily identifiable, ensuring alerts can be received and acknowledged quickly and easily. As it features back-up batteries, it is also ideal for safeguarding in the event of mains power failure. Back-up battery power: 4 x 1.2V AAA (LR03) NiMH rechargeable batteries. 600 mAh.